Weather You Have Lost Your Hyundai Car Key and Don't Have a Spare, Your Key Is Broken or No Longer Functions or Simply Need a Spare Key, We Can Help Fast! We Make Keys For Cars On Spot For All Hyundai Makes & Models Including, Chip Keys, Fob Keys, Smart Keys and Head Remote Keys. We Fix, Re Key and Replace Hyundai Car Locks and Keys and Have Them In Stock, Including Car Door Lock, Trunk and Ignition Switch. 24/7 Mobile Service, Fast & Reliable Auto Locksmith Services In Las Vegas NV and Surrounding Area. Hyundai Group was a multinational chaebol (conglomerate) headquartered in Seoul, South Korea. It was founded by Chung Ju-yung in 1947 as a construction firm and Chung was directly in control of the company until his death in 2001. Following the 1997 East Asian financial crisis and Chung's death, Hyundai underwent a major restructuring and break-up, which reduced the Hyundai Group's business to encompass only container shipping services, the manufacturing of elevators, and tourism. We Provide 24/7 Hyundai/ Kia car locksmith services in Las Vegas NV and surrounding areas. Emergency mobile car locksmith services are available any time, any day including weekends and holidays. 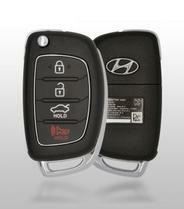 Our Hyundai car locks and keys are from the best brands such as: Ilco, Strattec, Jet, JMA, Keyline, Blue Rocket. All of our products and services come with a 90 day warranty. We are here to help if you have lost your Hyundai car key, need a duplicate car key, have a bent or broken car key or need programming for your Hyundai key. 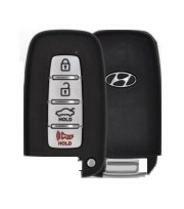 We carry all kind of Hyundai & Kia keys, including; mechanical keys, transponder keys, fob keys, head remote keys, laser cut keys and remotes control. Lost Your Hyundai Car Key? 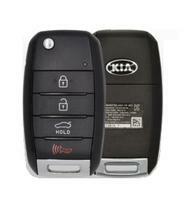 Need Kia Key Made? Call Us ! We Can Help. 24/7 lost Hyundai key replacement, all models Hyundai & Kia keys made onsite fast, Hyundai keys repair and program Hyundai chip/ transponder keys. Quick and friendly service. We can fix, replace and install Hyundai car locks, including; car door locks, trunk locks and ignition locks. We carry Hyundai car locks (car door lock, trunk lock & ignition lock) for all Hyundai & Kia models and have them in stock. - Hyundai Accent, Hyundai Azera, Hyundai Elantra, Hyundai Entourage, Hyundai Excel, Hyundai Genesis, Hyundai Pony, Hyundai Sante Fe, Hyundai Sonata, Hyundai Tiburon, Hyundai Tucson, Hyundai Veracruz, Hyundai XG300, Hyundai XG500. - Kia Amanti, Kia Borrego, Kia Forte, Kia Magentis, Kia Optima, Kia Rio, Kia Rondo, Kia Sedona, Kia Sephia, Kia Sorento, Kia Soul, Kia Spectra, Kia Sportage. 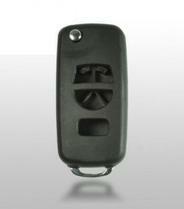 All Hyundai & Kia chip keys and laser cut keys made on site including programming. 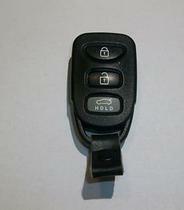 Wide selection of Hyundai & Kia remotes control and programming services. 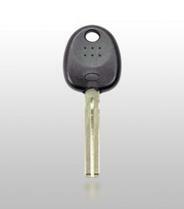 Wide selection of Hyundai & Kia shell keys.